Welcome! 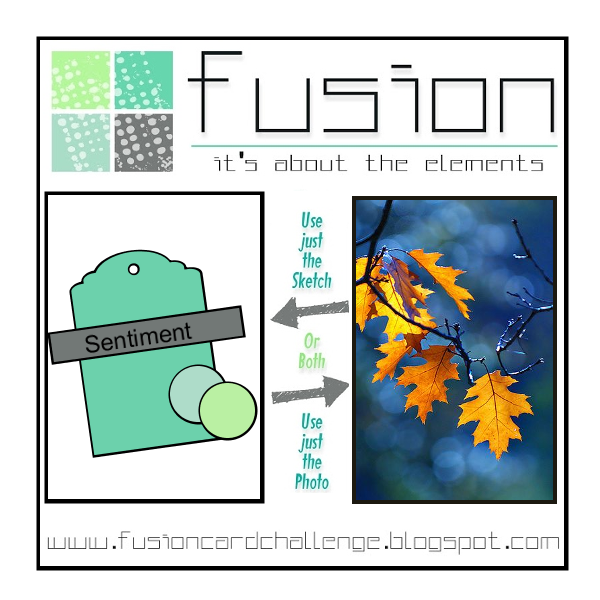 I'm here with a card for the newest Fusion Challenge. Check out this graphic! That tag is so gorgeous in real life. The blues are so rich and the silver mixative adds such a beautiful metallic look. I've had alcohol inks since I first began stamping but watching Jennifer McGuire's video a couple of weeks ago inspired me to get them out and get inky and this was one of the panels that resulted. Thanks so much for visiting! 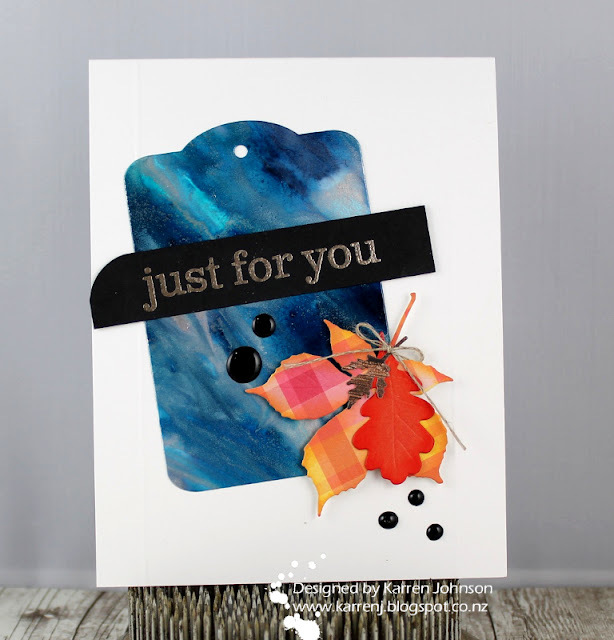 Head on over and check out what the rest of the DT have done - you'll see a few more fusions and some all-round gorgeous cards! That's what I would call a perfect fusion! Absolutely love the gorgeous blue tag with the leaves in both patterned and solid paper! Totally stunning! 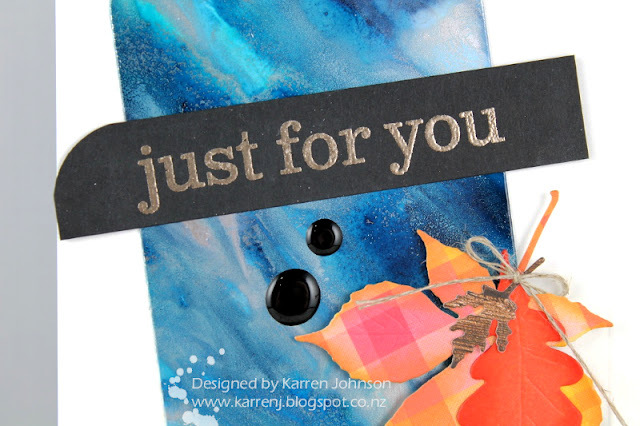 Thank heaven you hung onto your alcohol inks all this time, Karren...the effects on your tag is stunning! Great idea to add silver mixative with all those beautiful shades of blue...it's so striking! Love the contrast with your layered leaves, too! Such a beautiful card! I love this card too. The coloured tag is fabulous with the orange leaf. A Striking design.